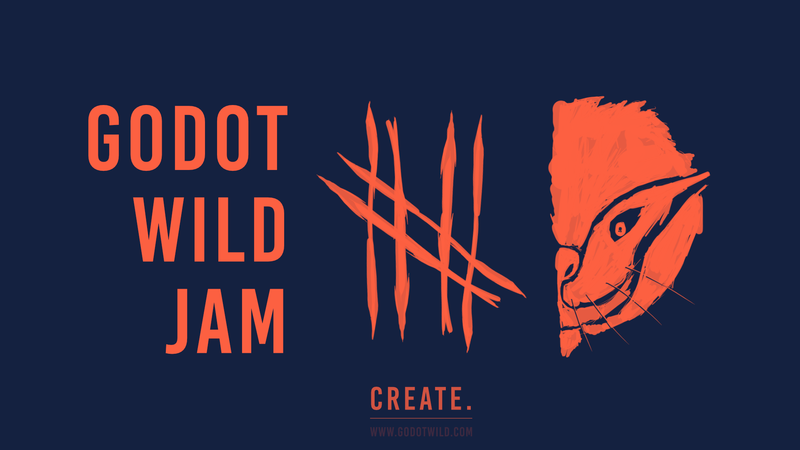 Welcome to the Godot Wild Jam which starts the second weekend every month. Whether you're a person who likes to go wild, a casual game dev, Godot fan, or you just stumbled upon the engine recently and would like to have a go at it, then this is the event for you. DISCLAIMER: We encourage participants to use version 3.1 even though it is not a production ready version of the game engine. We understand this is not for everyone but believe that the added features and stress testing would be invaluable to making Godot even better. Using Godot 3.0 will not incur a deduction in judging. If you are new to Godot, we suggest using version 3.0 for a stable experience. Reusing existing code and assets is allowed. > Theme: How well does the game adhere to the chosen theme? > Fun: Was it fun? Enjoyable? > Controls: How smooth is the game? Are the controls clunky or intuitive? > Graphics: Does the game look good? Does the art style fit the type of game? Is the pixel art charming? > Audio: How is the music? Does it fit? What about the sound effects? > Originality: Were you pleasantly surprised by some game mechanic or design in the game? Help cacti escape from poachers by building a rocket! Help Cactus Yeehaw, savior of the desert, bring the stranded cowboy back to town! Change the borders to change your path. Hydromancy in a desert... you're going to have to make it work. Find the Golden Cactus Artifact and escape! Cacti are showing up everywhere these days. Shotgun them down! A game about love, guns and guitars. Short Visual Novel about someone who finds themselves reincarnated as a cactus. Dont cross Sharpfist in a bad day.